I love to support indie beauty brands so I was over the moon when I found out that Feel Unique have a new dedicated section on their website showcasing a range of luxury indie brands from the USA - how exciting! With so many amazing places to shop for makeup and skincare online these days, it can be all too easy to skip past the smaller, niche brands (or not even find them to start with), so it's fantastic that Feel Unique have launched Spark Beauty - an easy one-stop shop for discovering the best high-end indie brands from the States. There are currently twelve brands listed which include skincare, body care, fragrance and makeup, and I imagine many more are on their way soon. 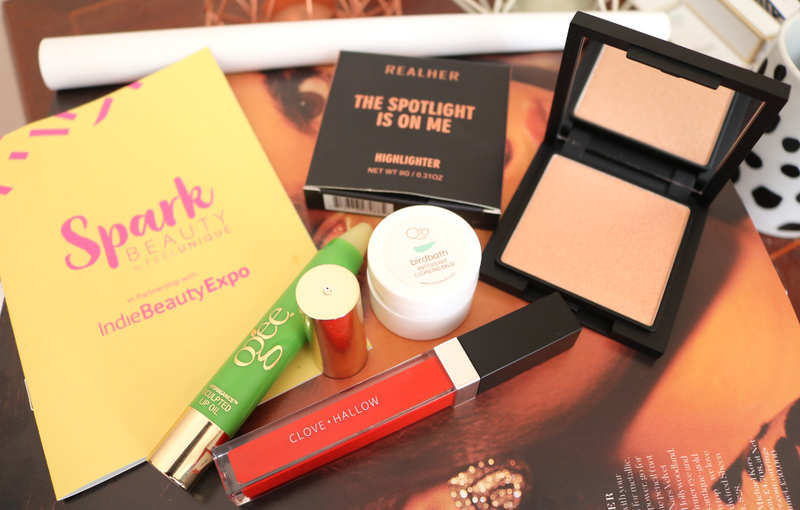 To give you a little taster, here are some of the most coveted products that are available from Spark Beauty to whet your appetite. Ogee are a high-end organic and natural, cruelty-free skincare brand whose products have some pretty luxury price tags attached to them (their Seeds Of Youth Serum is around the £120 mark to give an example). Their products feature high percentages of certified organic ingredients, are free from a long list of 'nasties' such as parabens, petrochemicals, phthalates, synthetic fragrances and artificial colours, and they are proud supporters of OFRF, the Organic Farming Research Foundation, which fosters widespread adoption and improvement of organic farming systems. 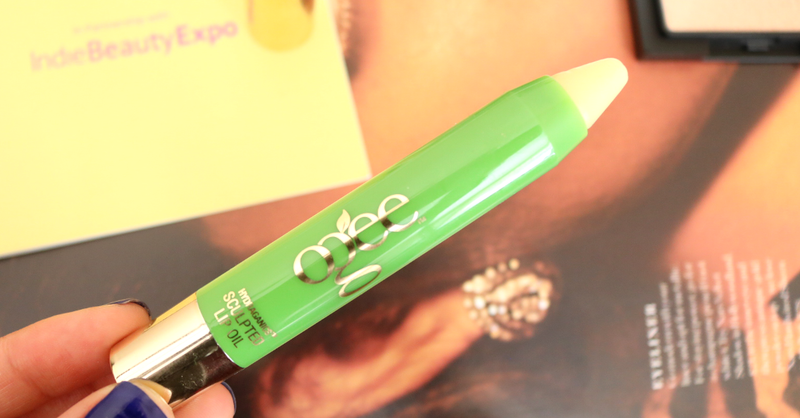 Ogee's Sculpted Lip Oil is a chunky lip balm crayon and contains 95% organic ingredients which include Olive Fruit Oil, Coconut Oil, Jojoba Seed Oil, Shea Butter, Vitamin E and Sunflower Seed Oil. It also has a little Peppermint Oil so it feels hydrating, cooling and instantly refreshing on the lips. I love applying this before lipsticks, especially matte formulas, so it's a useful product to have in my makeup kit. Another exciting luxury organic brand to check out if you have a large budget for skincare is O'o Hawaii. Their products are seriously high-end though with prices starting from £100-£158, and the high-performance formulas use an array of anti-ageing and antioxidant-rich superfoods, many of which are sourced from Hawaii. The brand is cruelty-free, and everything is strictly free from Wheat, Gluten, Palm Oil, Soy, with no unnecessary fillers of artificial fragrance in any of their products. I've had the pleasure of trying out a sample of their Bird Bath Antioxidant Cleanser which is a rich, thick cleansing balm that removes all traces of makeup, including waterproof, and provides a deep and thorough cleanse for the skin. Key ingredients include Sea Buckthorn oil, Coffeeberry Extract, Hawaiian Red Algae, Hawaiian Strawberry Guava, Tamanu Oil, Murumuru and Cupuaco Seed Butter, Need Oil, Pineapple Enzymes, Green Tea, Papaya Seed Oil and Hawaiian Kukui Nut Oil, and it smells really uplifting and fresh. 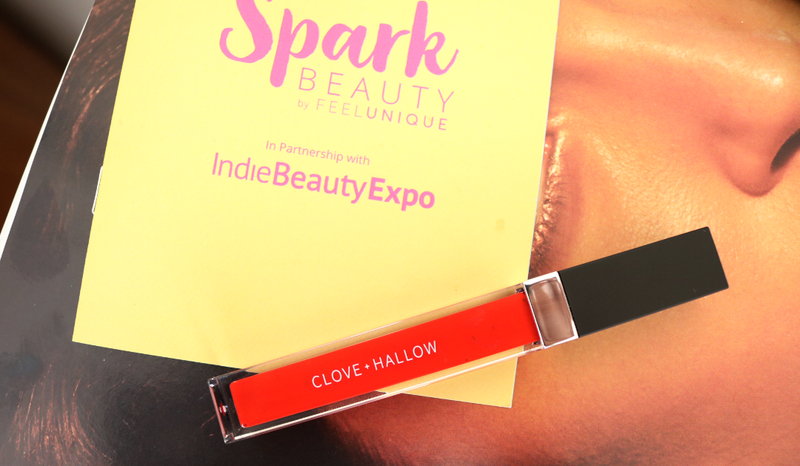 If you're searching for luxury cruelty-free and vegan-friendly makeup, Clove + Hallow is a brand that is starting to build up a cult following, especially after Allure magazine called it its '2018 Valentine' earlier in the year. Their bestsellers are the Lip Velvets and these are seriously amazing. There's a limited shade range at the moment, but the colours that they do have are absolutely gorgeous. These include nudes, everyday pinks and brights, plus one or two more 'out there' shades including a dark midnight blue, so there's already something for everyone. I have the shade Fiesta which is a killer bright red. The pigmentation of this liquid lipstick is incredible and the Lip Velvet formula boasts a creamy, kissable and comfortable smudge-proof matte finish. It does take a little longer than some other brands to completely dry down, but once it has, it's not going anywhere! The Clove + Hallow formula is also called 'Clean 15' so it's free from fifteen undesirable ingredients such as parabens, talc, animal by-products, synthetic fragrance and artificial flavours. California is home to a plethora of emerging indie beauty brands and RealHer are one of the brands making a name for itself. Although it's not natural or organic like the brands above, it is cruelty-free and there are no parabens, gluten or sulphates in their cosmetics. RealHer are most well known for their Lip Kits and Palettes, but this standalone Highlighter is a real beauty gem that demands to have some attention thrown at it. 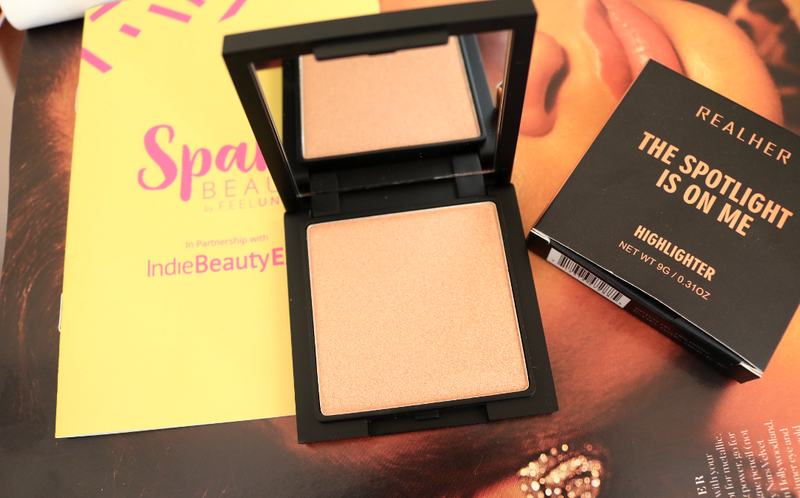 Packaged in a sleek black compact with a large mirror, this shade is called The Spotlight Is On Me and it's a gorgeous gold that looks flattering on a range of skin tones for some instant glow wherever you want to apply it. I've had so many compliments from friends recently when I've been wearing this and it lasts well throughout the day or night! Have you bought anything from Spark Beauty yet?